Advanced meters are giving utilities new tools for voltage control. 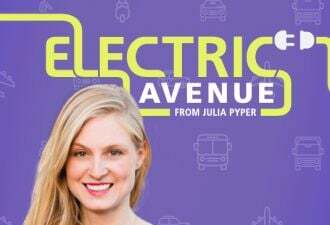 Managing voltages to save energy and reduce peak-driven strains on the grid isn’t a new idea. Some of the original volt/VAR optimization (VVO) and conservation voltage reduction (CVR) schemes are decades old. They’ve helped save lots of energy, but they’ve also faced a key limitation: the need to avoid dropping voltages so low that they start causing problems for customers at the edge of the grid. Knowing just how low voltages are getting at those grid endpoints is a really tricky task, however. Having sensors in place could help ensure the quality of power being delivered to customers and allow utilities to push the bounds of their voltage management plans. Smart meters can be just that tool. And according to GTM Research, utilities are starting to make use of them for VVO and CVR on a broad scale. In a few short years, automated metering infrastructure (AMI)-based voltage management projects have grown from a handful of proof-of-concept pilots to ten commercial-scale projects across the United States. These projects, along with several other pilots and planned deployments, are now managing voltages on grids that provide power to just over 5 million customers, or about 3 percent of the country. As the GTM Research map above shows, these projects involve almost all the major AMI vendors, including Silver Spring Networks, Landis+Gyr, Sensus, Elster and Aclara. It also indicates that AMI-based voltage management now includes a growing host of grid equipment and system integration partners. 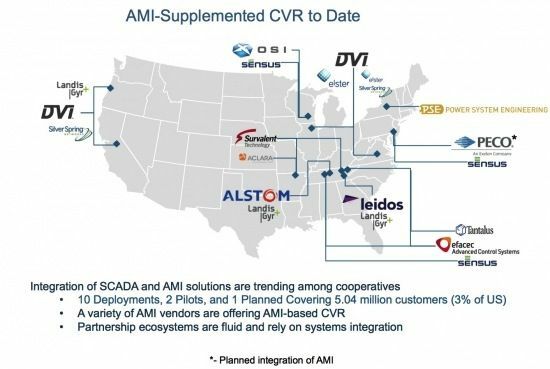 Dominion Voltage Inc. (DVI), the company formed in 2012 to commercialize AMI-based CVR technology from utility company Dominion Energy Holdings and Lockheed Martin, remains the most prominent technology vendor to date. Along with AMI partners Silver Spring, Landis+Gyr and Elster, it’s deploying with utilities in four states, including Dominion Virginia (PDF), the municipal utility of Naperville, Ill., Oregon’s Central Lincoln People's Utility District, and Modesto Irrigation District in California. But other vendors are also getting involved, including Alstom, Survalent, Efacec, OSI, Leidos and Power Systems Engineering. This week saw a new participant enter the market: OATI, which announced its partnership with rural North Carolina utility Wake Electric Membership Cooperative and AMI vendor Sensus. There’s a lot of fluidity to the partnerships out there. For example, Sensus, beyond its Wake EMC project, is working on CVR projects in Wisconsin, Tennessee and Pennsylvania. Landis+Gyr has its DVI-based projects, as well as a partnership with Alstom on a CVR project for Nashville Electric Service (PDF), and another with Leidos (formerly part of SAIC) for Fort Loudoun Electric Cooperative (PDF), both in Tennessee. Elster is also working both with DVI, as well as with Survalent and ABB in a project with big utility Entergy. AMI isn’t the only way to monitor and fine-tune grid voltages. The Department of Energy’s smart grid stimulus grants funded 26 VVO and CVR projects (PDF), using both centralized and decentralized control systems and an array of grid sensors for the task. North Carolina’s Progress Energy and Schneider Electric’s Telvent have deployed a commercial-scale CVR/VVO project aimed at cutting 385 megawatts of peak load, the equivalent to one fair-sized coal-fired power plant, that doesn’t include AMI. Utilidata, a company that’s raised $25 million to scale up its CVR technology, networks the devices that actively manage line voltages for most of its data. As GTM Research smart grid analyst Ben Kellison recently observed, the fluid nature of these project partnerships indicates an important role for proper systems integration to make sure each is accomplishing its goals. 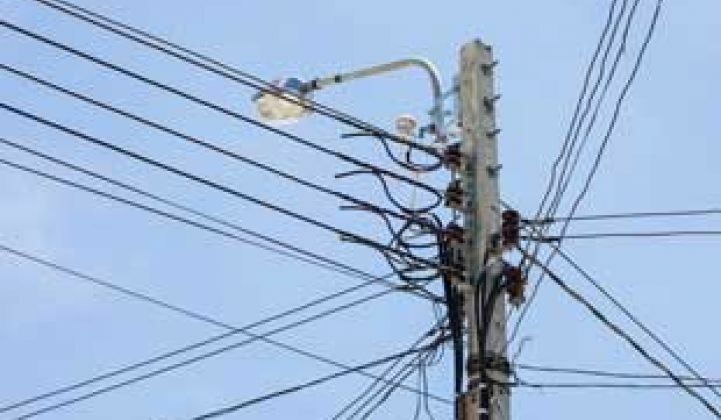 So far, AMI-based CVR has been applied as a lower-cost option for small to mid-market utilities, he noted. Some projects are demonstrating cost-effectiveness in terms of energy savings, peak reduction, power quality improvements and other grid benefits. But whether each particular configuration is capable of delivering an operationally effective solution that reliably provides these benefits at larger scale is not yet clear. Indeed, adding AMI measurements to existing, centrally managed VVO and CVR schemes may reveal how they’re falling short. After all, system-wide voltage changes that keep almost all distribution circuits within minimum voltage standards, but drop only one or a few feeder lines below those minimums, may have been hard to catch in the past. Smart meter data can now provide a pretty reliable measure of where that’s taking place, forcing utilities to confront problems they didn’t know they had. Consider it the flip side to the benefits of having sensors at the grid’s point of contact with its end users. Sometimes they can help push the boundaries of existing technology solutions -- and sometimes they can expose problems that require new technologies to solve.